WELCOME TO MAE HONG SON! 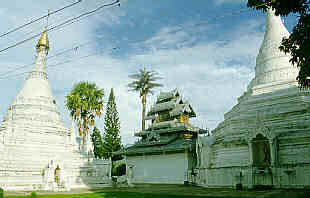 Burmese Chedi of Wat Phrathat Kong Mu, Doi Kong Mu, Mae Hong Sorn, Mae Hong Sorn Province, North Thailand. 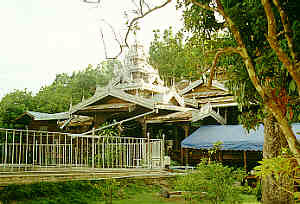 Viharn of Wat Phrathat Kong Mu, Doi Kong Mu, Mae Hong Sorn, Mae Hong Sorn Province, North Thailand. 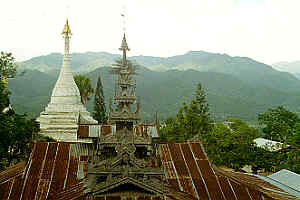 Viharn and Burmese Chedi of Wat Phrathat Kong Mu, Doi Kong Mu, Mae Hong Sorn, Mae Hong Sorn Province, North Thailand. 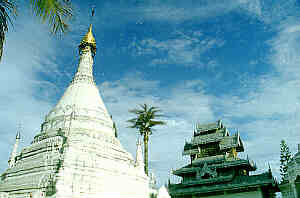 Thank you for visiting the Mae Hong Sorn section of Thailand online ! Diese Seite wurde am 15. März 1997 gestaltet und zuletzt am 28. Mai 2005 aktualisiert. This page was created on March 15, 1997 and last updated on May 28, 2005.